FINALLY, I really am Doctor Coffee, officially. 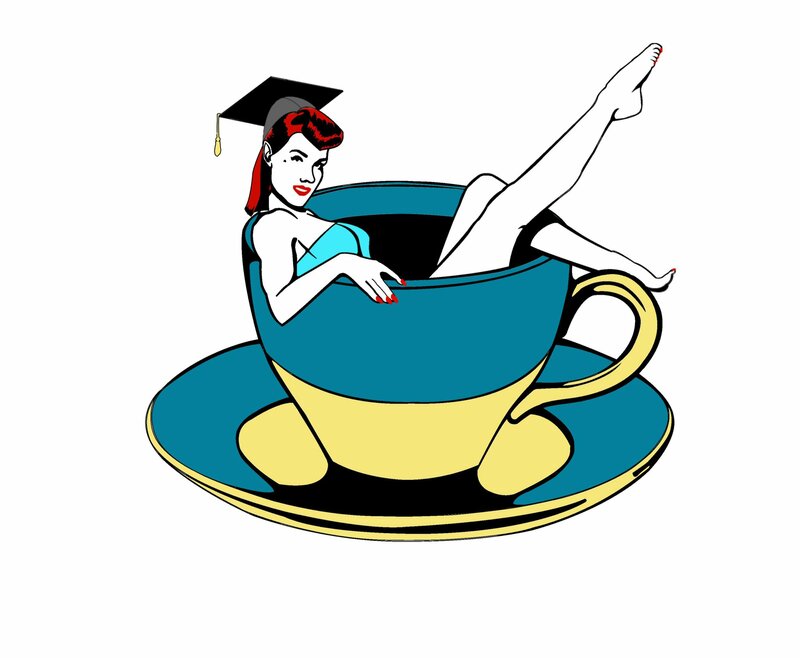 So, what do I do with a PhD in coffee? Tried to open a coffee shop… loved it, found it very difficult with BabyCoffee, hated it being in Darlington. Moved on. Next: “Those that can, teach” [sic] right? To this end, I’ve gone self-employed again, and I have started Doctor Coffee Consulting. This is my new website: www.doctorcoffee-sk.com This really came about through unrelated circumstances giving me a boot up the backside to organise myself, but the idea is to use my knowledge of all things coffee to help other businesses set up; either adding or improving coffee in existing businesses (ie: restaurants who want to do a bit more than just old filter coffee on their desserts menu), or helping new start-ups. I’ve done plenty of barista training already, but I am also keen to do unique blend designs and so on. So far, I’ve worked with three businesses in Regina already and did a “home barista” workshop for a guy who just really, really liked coffee. It’s all good! Look! I dressed up and everything! 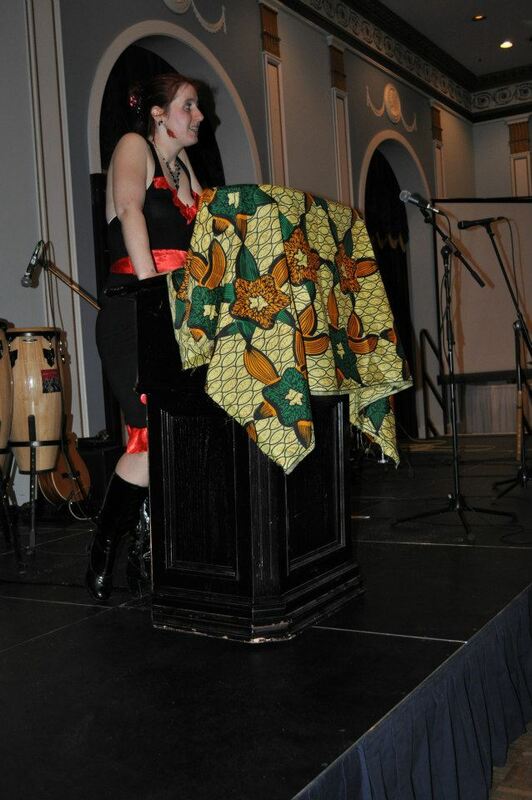 I was recently invited to speak at the Engineers Without Borders fundraising Gala at the Royal Saskatchewan Hotel. This was a little intimidating: very posh hotel, 150 people all in formal dress, paying a lot of money to hear me waffle on…. and me knowing very little about engineering! They knew I was the Official Local Coffee Geek though, so somehow I had to link coffee knowledge to engineers, along the general theme of “Building the Future”. This is what I came up with! What has coffee got to do with Engineering? Well, the coffee was the first commodity and food industry to become Fairtrade certified. The Fairtrade Foundation was set up to help farmers who were living in poverty as a result of the crash in the global prices of coffee. The Fairtrade movement guarantees a minimum price for farmers to help stabilize the industry and to guarantee at least a minimum income from the crop of coffee. Furthermore, when international coffee buyers negotiate a contract under the Fairtrade scheme, they agree to pay not only a fair price for the coffee, but also an additional ‘social premium’ – around 10cents per pound of coffee. This social premium goes to the coffee cooperatives, and is used to fund projects that benefit the coffee farming community a whole. These projects can be anything from building schools for the local children, or irrigation and clean water projects to investing in new coffee processing technology at the cooperative’s coffee mill. This is where engineers and development workers are crucial to the coffee communities. Fairtrade schemes just provide the money, they don’t often get involved in the actual building! I am going to talk about coffee farming in Nicaragua because this is where I did a lot of my own fieldwork. Nicaragua is a developing country, and nearly a third of its GDP comes from its coffee industry. The vast amajority of Nicaraguan coffee farms are less than 3 hectares in size, and are also located in remote, hard to reach areas. High quality coffee needs high altitude – over 800metres above sea level, and a very humid, warm climate and very fertile soil. Some regions of Nicaragua in the Northern highlands, in the cloudforests and on the side of volcanoes provide near-perfect coffee-growing conditions. A great deal of Nicaraguan coffee is grown organically too, in an effort to preserve the cloudforest biodiversity, so the coffee plants are grown in amongst other plants and trees, with no chemical fertilizers or pesticides used. This technique means the coffee tastes great and fetches higher prices for the farmers, but it also creates a great many infrastructure problems. Small coffee farms are generally grouped together into cooperatives, in fact, the Fairtrade Foundation insists on them, and only gives Fairtrade Certification status to recognised, democratically based cooperatives. The cooperatives process the coffee from hundreds, sometimes thousands of farms. The coffee production process is very complex – it’s not just a case of picking it off the tree and roasting it. The farmers pick the coffee by hand, then depulp it, (meaning, take the fruit off it) on their own farm, meaning that each farmer has to have their own depulper machine (either handcranked or diesel powered). The coffee beans are then washed to remove the sticky fruit muscelage. The coffee beans then have to be dried out so that they lose at least 10% of their moisture, before they are transported to the central processing mills operated by the cooperative. At the processing mill, the coffee is “trilled” in a huge machine which essentially removes the now-brittle parchment like layer covering the beans. Then they are dried out further, spread out on huge concrete patios in the sun and turned regularly, and finally they are meticulously sorted to remove low quality, defective beans, first by hand, then by a very clever complicated machine, which detects the beans’ weigh, size, shape, density, and colour, and grades the crop accordingly. Only then can it be sold to international buyers. In recent years, the coffee commodity price has recovered well, and the price of it on the global markets has far exceeded the Fairtrade guaranteed minimum. But to get the very best prices, farmers have to produce the very best quality coffee – and customers are getting more and more discerning. The quality can be affected by any number of climatic and environmental factors, and much like wine, there are good and bad years for coffee, and variations between coffee grown in Nicaragua and coffee grown in Ethiopia, for instance. Some variation in quality can be controlled by the farmers, and their skills and most significantly, the access they have to some resources has a huge bearing on the coffee’s quality. This is where the Fairtrade social premium comes in. In order to preserve the coffee’s quality, certain parts of the production process have to be performed within certain time frames. On the farm, the fruit has to be removed from the beans within 24 hours, otherwise it can start to ferment, which damages the flavour of the coffee. Similarly, the beans must be transported to the cooperative’s processing mill as soon as possible, so that the beans can be dried out quickly and farmers can minimize the risk of damage from unexpected rain or from pests whilst the coffee is on the farm. Transporting coffee to the cooperative processing mill is not as simple as it sounds. As mentioned previously, the farms are usually halfway up mountains and in tropical cloudforests. In many parts of Nicaragua, irrigations is a huge problem too: in winter, it is too dry and the ground cracks or turns to sand, and landslides are common. In summer, areas can flood and roads can be cut off entirely by mudslides. If there are actual roads, they are usually unpaved, steep and tightly curled around the mountains, and can be virtually impassable without a large and powerful 4×4 vehicle – which are well beyond the budgets of the farmers. With hundreds of farms spread out over large areas, the cooperative cannot practically manage coffee collections themselves, so the farmers have to transport their coffee by their own means. I did see one farmer negotiating a steep mountain track with a 100lb sack of coffee beans strapped to the back of his little 125cc motorbike, but otherwise, they are forced to use the rural bus service, that is, very old yellow school buses donated from the United States, which serve as the only form of public transport. As you can imagine, neither is a particularly ideal option, but the risk of damaging the coffee crop – that often represents the entire annual income for the farming families – is too great, and so they always find a way! Another big issue in Nicaraguan coffee regions is that of water pollution. Washing the sticky fruit mucilage off coffee beans on the farms requires a source of clean running water, and quite a lot of it too. Whereas most farmers do have access to this at least, supplies are still limited and washing the coffee has its own set of problems. In neighbouring Costa Rica, farmers are required by law to purify and reuse water on coffee farms, which is far easier to achieve when Costa Rican farmers have the resources to purify water already installed on the farms. In Nicaragua however, farmers cannot afford this sort of technology, and the cooperatives are not in a position to implement it either. Water containing coffee mucilage is extremely acidic, and if it is left to just run off the farms and soak into the earth, it can strip important nutrients from the soil, which potentially damages the following year’s crop, as well as any other plants in the vicinity. In the worst case scenario, run-off water can enter the water table and exacerbate existing flooding, and also enter the water supply intended for human consumption. Maintaining and enhancing coffee’s quality is paramount to the farmers’ livelihoods, as the best, most sustainable prices are paid for the highest quality coffee. However, the quality of the crop depends a great deal on the farmer’s ability to manage the logistics of processing coffee beans, and on his access to resources and technology. The Fairtrade social premium paid to the cooperatives provides the financial resources to aid the farmers’ often precarious situation, but in practical terms, a lot of the work needs to be developed by skilled, knowledgeable engineers. If farmers cannot afford 4×4 trucks, then mountain roads must be improved and maintained so that transporting coffee is made easier and more efficient. To avoid pollution, irrigation needs to be properly managed and developed, and the farmers must be provided with the technology (and technical know-how) to purify and reuse their water supplies. None of these problems are insurmountable but they do require the help of skilled infrastructure experts, and most importantly, engineers who actually understand the coffee industry, and who can see what needs to be done to help the farmers and to improve the quality of the coffee we all take for granted.